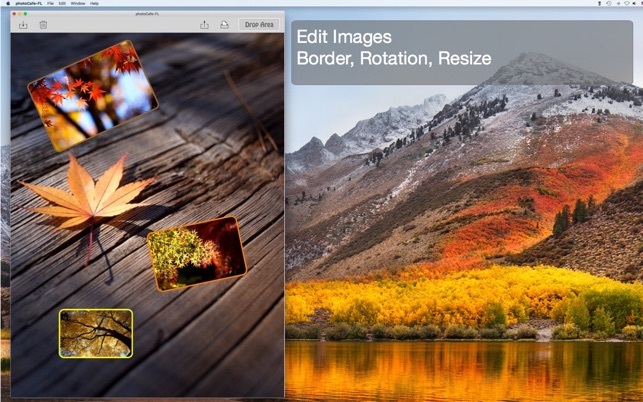 photoCafe-FL will be able to layout multiple photos freely. You can create your favorite collage photo easy. Favorite photo, please drop it in the drop area. You easily can import. The layout is free. Images can be rotation, resizing, and change the border. You can also superimpose a image in to the image. Grid can be displayed. Images can be given a memo. The layout is free. You can also rotate. You can change the memo font, font color, font size, and shadow. 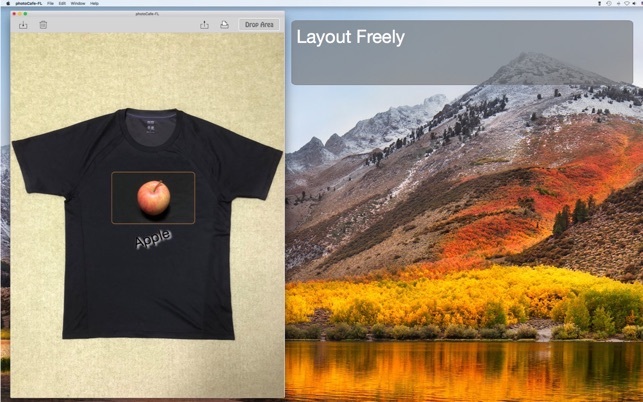 Created works can be saved as a single composite image. 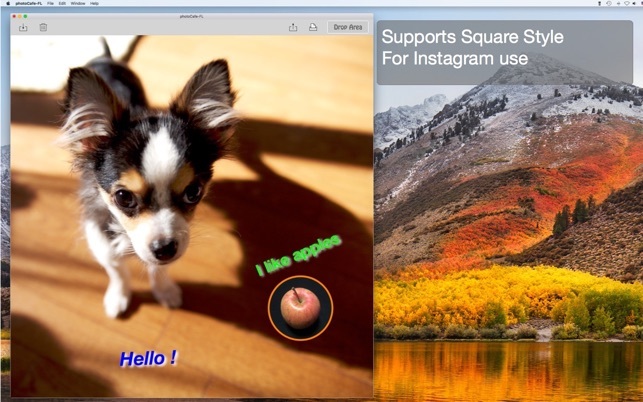 photoCafe-FL supports drag-and-drop from the Photos.app. • Images and memos can be freely layouts. • Images can be set to the background. • 30 Images + background, and you can use the 30 memos. • Images and memos can be change the overlay. • Images can be resized. • Images can be change the border. • Roundness can be set for corners of images. 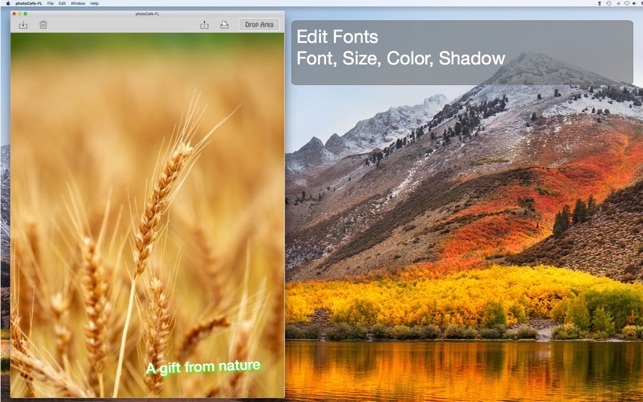 • Background images can be zoomed and trimmed. • Font, font size, font color and shadow color can be changed. • Transparency of the background image can be changed. • Multiple images and memos can be grouped. 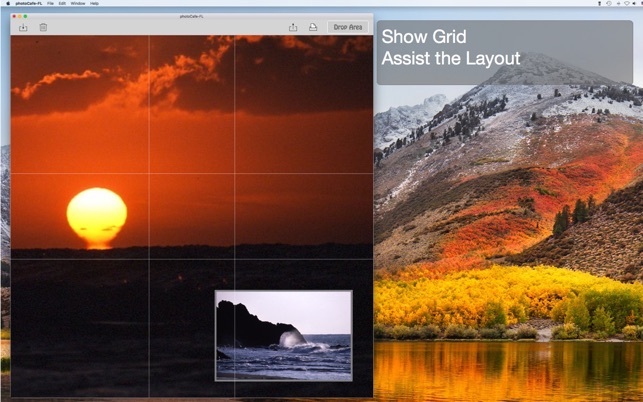 • Grid to assist the layout can be displayed. • Print at the optimal size to paper. “photoCafe-FL" for IOS is also available. • Fixed an issue where background images may not be captured when saving. Copyright © 2016 in-bluesky. All rights reserved.